If you have been collecting and using iOS music apps for a long time, you probably know the creation of Eric Sigth. These are certainly not boring and normal. 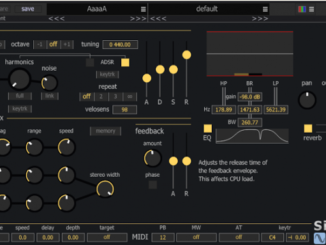 With strng or shapesynth Synthesizer oder effects apps like Nils, the developer created already very unique iOS apps in the past. 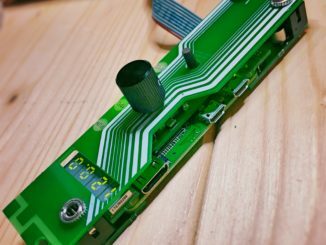 Today, the developer released Tardigrain, a new crazy granular Synthesizer that fits perfectly in the HumbleTUNE family. Users can here import own samples, granulize them and apply effects like a reverb, wave-shaper or sample crush. Good thing: the app supports directly AUv3 and all other important connection features like Audiobus and Inter App Audio. An amazing feature is that you can change the parameters of the synth like the reverb or the grain size with the gestures on the keyboard. If you press on a key and slide to the top, you can change multiple parameters at ones what is super expressive. 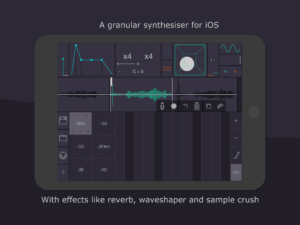 Tardigrain is a granular synthesiser for iOS that runs standalone or as an AU plugin. Sounds are created by taking smaller fragments of a sample and playing them back in a non linear fashion, with settings for grain size, direction, step size and more. 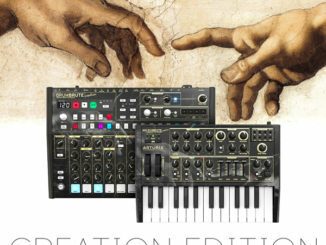 Process the sound further through effects like reverb, wave shaper and sample crush. Tardigrain supports connections with AudioCopy, AudioBus, Inter App Audio and AUv3. Plus all audio parameters can be modulated by MIDI, as AU parameters and by aftertouch on the build in keyboard.